A divorce is one of the most difficult experiences one can go through emotionally. Add to it a potentially complex legal process and it is easy to feel overwhelmed. Fortunately, with the help of a compassionate, skilled attorney, your transition into post-marriage life can be made easier. At Salinger and Associates, we understand the difficulties that divorce and other family law conflicts cause our clients. Our Southfield divorce attorneys — Burt E. Salinger and Robin Lee Busker — provide honest representation tailored to each client's unique needs. Using more than 50 years of combined experience, we work to minimize conflict and reduce the financial strain often associated with divorce. If you would like to schedule a free initial consultation, please call 248-569-5120. You can also contact our law firm online. Child custody and parenting time: Nothing is more important to our clients than their children. We will help you create the child custody arrangement that is truly in the best interest of your children and your family. Child support and spousal support: In October 2008, Michigan's child support guidelines underwent a significant change. In addition, Michigan has also made it easier to attain modifications for child support and alimony. We are up to date on all these developments and will work to protect your interests. Asset evaluations for real estate, pensions and more: In order to fairly divide property, the court needs an accurate idea of how much that property is worth. We can help gather and value assets properly. Modification and enforcement: When life circumstances change or when one party violates the divorce decree, custody or support order, legal action is necessary. We can help you restore stability and fairness to your life. It isn't always necessary to undergo the expensive, painful process of adversarial litigation. Mediation — if it's right for you — can provide a faster, less expensive, more amicable resolution for your divorce. 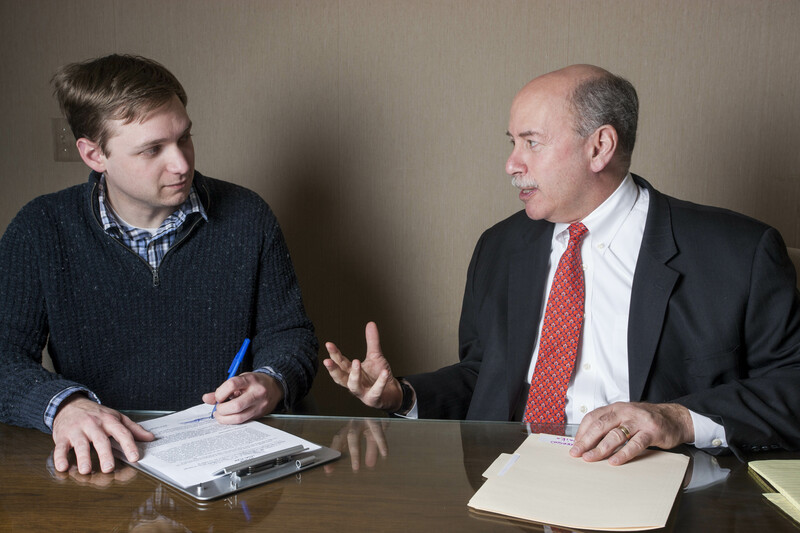 We know the mediators throughout the Detroit area and will help you select the one that is best suited to resolve your case. There is more than one kind of family. Not everyone fits the traditional definition of a family. We represent many parents who have chosen not to marry and we also provide services to domestic partners. Talk to us. We will listen. If you would like to schedule a free initial consultation with a lawyer at Salinger and Associates to discuss your family's situation, please call 248-569-5120. You can also contact our law firm online. Salinger and Associates is a Detroit, Michigan, law firm located in Southfield. We serve clients throughout Southeast Michigan, the Metro Detroit area, Downriver, Oakland County, Wayne County, Macomb County, Lapeer County and Livingston County including the cities of Farmington Hills, Oak Park, Royal Oak, Birmingham, Pontiac, Livonia, Troy, Warren, Sterling Heights, Monroe, Lathrup Village, Bingham Farms, Waterford, Taylor, Ferndale, Lapeer, Fenton, Howell and Brighton.